Behold me at Your most holy feet, O dear Jesus, to manifest to you my gratitude for the continual favors which You have bestowed upon me, and still wish to bestow upon me. As many times as I have invoked You, O Jesus, You have made me content; I have often had recourse to You and You have always consoled me. How shall I express myself to You, dear Jesus? I thank you! Yet one more grace I desire of you, O my God, if it would be pleasing to You (here mention your request). If you were not omnipotent, I would not make this request. O Jesus, have pity on me. May your most holy will be done in all things"
O my crucified God, behold me at Your feet; do not cast me out, now that I appear before You as a sinner. I have offended You exceedingly in the past, my Jesus, but it shall be so no longer. Before You, O Lord, I place all my sins; I have now considered Your own sufferings and see how great is the worth of that Precious Blood that flows from Your veins. O my God, at this hour close Your eyes to my want of merit, and since You have been pleased to die for my sins, grant me forgiveness for them all, that I may no longer feel the burden of my sins, for this burden, dear Jesus, oppresses me beyond measure. Assist me, my Jesus, for I desire to become good whatsoever it may cost; take away, destroy, utterly root out all that You find in me contrary to Your holy will. At the same time, I pray to You Lord Jesus, to enlighten me that I may be able to walk in Your holy light. Oh holy Gemma, I am near you, help me to pray. You know what I and those near me need; look after my urgent needs and my spiritual and material wants. You take care of them! I confide in you and entrust all to your loving care. Offer up to Jesus that tender and constant care that you bore Him here on earth. Oh holy Gemma, you who physically suffered all the pains of the Passion of Jesus, I beseech of you the grace to meditate on and live the Passion of Jesus, and the sufferings of Holy Mary. Pray that I will be able to walk in the path of humility, simplicity, love and sacrifice, fulfilling at all times and in all ways, the holy will of God. Let me live united with Jesus, the Blessed Virgin Mary, and you, for all eternity. Amen. Oh St. Gemma, how compassionate was your love for those in distress, and how great your desire to help them. 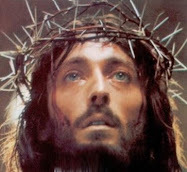 Help me, also in my present necessity and obtain for me the favor I humbly implore, if it be profitable for my soul. The numerous miracles and the wonderful favors attributed to your intercession instill in me the confidence that you can help me. Pray to Jesus, your Spouse, for me. Show Him the stigmata which His love has given you. Remind Him of the blood which flowed from these same wounds, the excruciating pain which you have suffered and the tears which you have shed for the salvation of souls. Place all this as your precious treasure in a chalice of love and Jesus will hear you. Amen. Gemma's mother taught her from and early age to kneel on her hands and pray 3 Hail Mary's every day, asking the Blessed Mother to obtain for her the grace of purity. At the end of her life, nearing death, a companion went to check on her and found her kneeling on her hands, saying the 3 Hail Mary's for purity. Even at the end of her life she did not abandon this holy practice. Therefore, we can confidently invoke her for assistance against temptations of impurity. Oh bright flower of heaven, St Gemma, mirror of purity and penance, obtain for us the grace of purity and help us against all temptations of the flesh. We ask this through Christ our Lord. Amen. You are doing a wonderful job with this website. Thank you for the prayers that you have put up. I also found a Novena of St. Gemma, would you like me to send it to you?? Thank you for your kind comment and for your excellent suggestion about adding a Novena to St Gemma. I just added a Novena today per your suggestion. This website is yet another tangible proof how much our dear LORD loves us. Yes, we see how much Jesus loves us when we read the writings of Saint Gemma. God's infinite love for us shines through them. It one of the things that makes the lives of the Saints so attractive. Please, I beg of you all to pray for my daughter, Missi, for healing for her back. She has suffered the pain for so long, not knowing it was from Lupus which had deteriorated the bones in her thoracic area causing much pain & loss of some bodily functions as well as atrophied her kidneys. Please ask St. Gemma to help Missi get the right dr. to perform the delicate surgery, which if done wrong, can cause paralysis or blindness. I thank you SO very much for your Godsent prayers and will keep you all in MY prayers as well. Thank you & God bless you all! I printed out your message and placed it beneath our St Gemma statue and her relics. I will begin a Novena to St Gemma today for Missy. I also have a daughter named Melissa, whom we affectionately call "Missy". I pray that God may guide and help you and your family, and draw you ever closer to Himself. Yes, Sharon, we'll pray for Missy, that through the intercession of St Gemma, she will recover and be restored to full health, and that the LORD will be glorified in His Work through Missy. St Paul said that God did not spare even His own Son, our LORD Jesus Christ, to show His love for us, so that it begs the question, what else will the LORD not give us? Have faith, Sharon, and through the prayers of St Gemma, Missy will be healed. What a wonderful job you have done with this site! I thank God for leading me to it; I was actually using Google to search for links to the mercy of God to use in a novel I am writing. This was one of the first links to pop up. I was wondering if you could pray to St. Gemma to help me regain my faith, as I have wavered between keeping it and losing it, as I am dealing with a domestic violence abuser (my ex) who stole my daughter from me when she was barely three days old, and deprived her of Baptism and the Sacraments. He has gotten away with this for seven years, and sometimes I feel like losing hope. He has also gotten away with stealing my hard-earned money and Social Security income (the latter of which I get for my hearing disability). I am currently in school trying to get my Bachelor's Degree for Business so I can get a decent career to get off of Social Security for good and care for my child and myself without any interference from anyone. In addition, since I don't drive, I am discouraged by the almost "impossible" task of getting back to Holy Mass. Thank you so much for this site again; may Jesus, Mary, and Joseph bless you abundantly in time and in eternity! Thanks so much for your kind email. It is really nice to meet you. And, thanks for sharing a bit of your story with me. You really have some heavy crosses to bear!....but you can be sure that Jesus is close to you because He is always very close to those who suffer. It sounds like perhaps your husband really needs your prayers. When you pray for him, what value such prayer has in the eyes of God!...to pray for those who have hurt us...surely it is not easy, but it brings down a shower of blessings upon us and the one that we are praying for. The novel that you are writing sounds interesting as it touches upon the mercy of God. Since we are in the midst of Lent it is certainly a great time to contemplate the mercy and love of God. Love and Mercy....God's greatest attributes! Jesus crucified hanging on the cross is truly God's love and mercy personified...God who became man to suffer a horrible, torturous death out of His infinite love and mercy for us! When we have doubts or uncertainties we should look at Jesus hanging on the Cross and we should kiss His holy wounds. of my family. Especially my mom, she is very sick. of your family. May our blessed Lord guide you ever closer to His Sacred Heart. My daughter Melissa will be entering a residential treatment center on Monday for drug addiction. I believe that the Novena to St. Gemma has influenced this process, because we've tried many times in the past to get help for her, to no avail. Please continue to pray that she will be safe and will get the help she needs. Mainly, that she will turn to the Lord. I also have a daughter named Melissa, age 16. I pray for your daughter Melissa, that through the intercession of St Gemma, God may help her with her battle with drug addiction. We ask this grace especially in honor of St Gemma's feastday...May Saint Gemma be her special advocate. -St Gemma, pray for us! Now, dear Gemma, that you are with your beloved Jesus, do not forget us who remain here below in this vale of tears, and obtain for us the graces and heavenly help that we need. Teach us how to sacrifice and suffer out of love for Jesus like you did. Guard and protect us from the evil one, and enlighten us against his evil temptations. Inspire and guide us throughout our earthly days, that we may always do God's will, and that we may always be pleasing to Jesus and Mary. Help us to love God with all of our hearts, and be with us always, especially in our last moments, and when we breath our last breath, present us to Jesus, and plead His mercy upon us, that we may be united with Jesus, Mary and you for all eternity. ~St Gemma, pray for us! Thank you for your prayers for my daughter Melissa. She's doing well in rehab & has indeed called out to the Lord for help. Please continue to pray for divine protection/safety for her in the facility where she is at, as there treatment methods do not embrace our beliefs. Also, please pray that our family will not be misled or deceived in any way during her treatment process. Once again, thank you so much for your consideration and for this site, and God Bless You Always. Carolyn Y. Thank you for the update on your daughter Melissa. I pray for her continued rehab and deliverance from drugs, and also for her continued conversion--may God continue to draw her ever closer to Himself, and may our blessed Mother protect her and cover her under Her mantle. Please help Kim with overcoming her present health challenges. Help her to be able to conceive this Aug. with her husband and have a healthy pregnancy and new healthy baby. Amen. Bless you for this site. Thank you for the prayers. Please pray for me and for my fiance, who is battling a chemical addiction. He finally has admitted himself for help. Please pray that we may have peace in our lives as his ex prevents him from a relationship with his son and interferes with our relationship, lying to the son and trying to come between my fiance and me. I pray for her and wish her no harm -- I've never met her, but she won't give me a chance, even after 2-1/2 years of being divorced from her ex (my fiance) -- a divorce SHE wanted. Thank you and God bless you. I will pray especially for your fiance that he may be freed from his chemical addition. -May God strengthen him! Also, concerning the situation with your fiancees ex, without taking any sides I will pray for forgiveness and reconciliation between the both of you and her. Forgiveness is so important in the eyes of God! May God bless you and may He draw all of you ever closer to Himself. Please pray for the salvation of my family...5 grown children...all ubder seige, and especially 2 grandsons 18yrs & 3 yrs(abandoned by thier fathers - oldest and youngest sons). Our youngest son is fallen away, met girl late last fall, married last spring, she committed suicide 3 weeks ago. He is heart broken. Thanks for your comments. 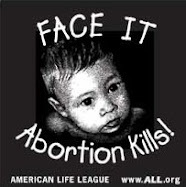 I pray especially for your children and grandsons---May God guide them and draw them ever closer to Himself. I'd like to also ask your readers for prayers for a healing of my dad's cancer (his name is Paul); and for the grace of a successful pregancy for myself. Glenn, you have already assured me of your prayers for us of which I am so grateful. Thank you. I posted prayer requests on this site in Mar. & Apr. of this year concerning my daughter Melissa. She entered rehab for substance abuse, but unfortunately she's relapsed & states that she doesn't have any reason to try & live sober. My spouse Greg also struggles with alcohol & my older daughter Cara struggles with bulimia as well as drugs/alcohol. My faith is dwindling, and I don't want that. Pray for divine intervention that my broken family will be healed, delivered & set free. Thank you & God Bless, Carolyn. I offer my poor prayers for you and your family, that God may strengthen and guide you. And I pray that others here who read your comments might also join in prayer. May God bless and strengthen you and your loved ones. I just happened on this site, as is probably the norm. My family is wounded. We are all in need of healing. My first husband died when my oldest children were 6 and 20 months. Three years later I married again and had two more children. My second husband, like my first, was not Catholic but he converted so that we would all be the same. Thank God, after 38 years, he is really embracing the Faith but while we were raising our children, we were not united and it is evident in our grown children. In spite of my efforts to have a united family, we are just six people going our separate ways with an occasional superficial connection. Three are married and we have five grandchildren with one on the way. The fourth will be married civilly before their baby is born in March and then in two church ceremonies - one in our state for our family and a second out of the country for his fiancee's family. I am not happy about the civil ceremony. Two go to church out of habit and two don't go. All grandchildren were Baptized but as they approach the age of receiving the other Sacraments, I don't know if that will happen for all of them. All have mental/emotional problems. I'm afraid one is bipolar. He is definitely obsessive/compulsive. My husband has Parkinson's Disease and he has paranoia, depression and anxiety. Our children are scattered in different states so it is hard to all get together to be a family. Two of the grandchildren have developmental issues and three have chronic asthma/allergy issues. One son has CP and will need surgery to implant a pacemaker-like device because he has nerve damage and can't feel when his bladder is full. The device will stimulate the nerves when the bladder is full. I am the oldest of a huge family - 16 children - 12 of us are living and most do not go to Church. I am viewed as a religious weirdo. I know things could be worse and I am thankful to God for all the good that He has done for me and my family. I pray for healing and conversion for all of us. Thank you and God bless you, Glenn. Know that you and your family are in my prayers. Nothing is impossible for God. Like the Gospel reading today, the leper begged Jesus to heal him, and the LORD responded to him, saying: "I do will it. Be made clean!" Ask the LORD for the grace of faith, and He will certainly give it to you. Who is the father who will not give good gifts to his children? Our God, the Father, won't disappoint you. All you need is ask Him in faith! You are His daughter, and He loves you and your family as He loves everyone else. May the peace of CHRIST be with you! Thank you, Glenn. God bless you and your ministry. Someone else kindly wrote the message above and I couldn't agree more. God is so good, and the love of God surrounds us---all of us---even those who are indifferent to Him. And His mercy and forgiveness endures forever for those who desire it...and so many souls turn to Him in the last moments and seek His love and forgiveness! And so I offer my poor prayers for you and your loved ones---especially those who are indifferent towards our loving God--that God may open their hearts and draw them ever closer to Himself. please pray for emile sr carr he has extremely painful back herniated disks having hard time walking. Many thanks to St. Gemma. Her intercession caused a complete healing in a friend of mine who was not expected to live. Thanks for sharing the news of the recent remarkable grace that your friend received through the intercession of St Gemma. Could you all please pray for my mom (Mildred)that her excruciating back pain leaves. Thank you. I pray that Jesus may strengthen and heal you, and may He draw you ever closer to Himself. 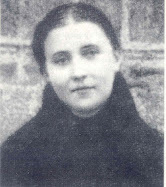 I gave away a St Gemma Galgani prayer card to a friend today who I believe maybe an atheist. I know he's certainly not a practicing catholic although his heritage is Italian. Both he and I suffer from bad backs so I told him to keep this with him at all times & I am praying that St Gemma may have some influence on both our our bad backs. I frequently pray and go to mass regularly, so you never know the outcome. I am planning to walk the Camino to Santiago next spring (when my back and knees are healed from Le Puy en Velay. So I'll be needing a good back for that.. I have recently had 2 back surgeries on my lower back and I have had such a difficult time recovering as nerves take a very long time to heal for some folks. Would you mind praying to St. Gemma for me? I am going to try the Novena. I really would be thankful for your prayers of healing. I am only 35 and have never been so low and scared. Thank you! I am sorry to hear of the troubles that you are having with the healing of your back. However I am glad to hear that Jesus has led you to St Gemma because in her you have found a heavenly friend who can sympathise with your back problems, given all she suffered in this regards. Many people with back and spinal problems have found her to be a very powerful and devoted friend and heavenly advocate-- for as you have probably read on the website, Gemma too suffered greatly during her long illness from a spinal disease , so she can certainly sympathize with what you are experiencing. For as you may know she had a tumor at the base of her spine which affected her spinal fluid and the physicians thought she had spinal meningitis, anyway, she suffered incredible back pain and migraines and she wore a back brace for awhile, but she was eventually completely bedridden due to the progression of the spinal disease....in January 1898, the physicians cauterized her spine in 12 places, but this only made things worse. It came to a point in March where she was at the verge of death, her physician said she had only a short time left...but Jesus willed otherwise, and she was cured by Jesus on the first Friday of March (Sacred Heart) during which Jesus appeared to her.....perhaps you have already read it but I wrote an article all about Gemma's spinal illness and miraculous cure on this website. Thank you very much, Glenn. I really appreciate your prayers and the information! Please pray for my confusion of my faith. I have been struggling for eight years to know what truth is . I have read books against the Church (like Dave Hunt, Richard Bennett and Mike Gendron) and for the Church (Mother Angelica and others). I have no peace. CARM on their website said in 'Is the Mass a sacrifice?' that the church is being unbiblical. Read it. I don't know. I am catholic but not sure to stay. Pray for me, please. -from a confused soul. Thanks for sharing a bit of your struggles and your spiritual journey. You can be sure that the Catholic church is the true Church because it dates back to Jesus, with Peter as the first pope and the apostles as the first Bishops..the papal succession and apostolic succession from Jesus to this very day has never been broken. If you haven't already, Read about apostolic succession of the bishops and you will find peace in knowing that the Catholic church dates all the way back to Jesus, and is the true Church that Jesus founded on Peter and the apostles. May Jesus guide you and grant you His peace and give you the wisdom necessary to put your soul at rest. Union in the Sacred Heart of Jesus! If you can give me your sons first name I will write his name on a paper and place it beneath Gemma's statue and first class relics that I have. In the meantime you and your family are in my prayers. 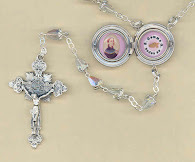 Also when you have time, choose one of the relics from the St Gemma store and I will send it out to you. Just email me your request--you can reach me by clicking on the "Contact" link at the top of any page on the website. Could you put my name,too, next to her statue and first class relic for the confusion of my faith? (Anonymous) also my family, too? Thank you for answering my questionon 12-27-12. I just placed both of your names beneath the statue and 1st class relics of St Gemma. Just an update that since I've started walk training for the Camino the condition of my back is much improved! I've walked just under 80 miles in the last three weeks. My health is much improved aa I'm avoiding potatoes/bread/pasta as much as I can to lose some weight too. I am grateful to all the saints for their help, especially St Gemma and St. Pio. All I need to do now is have a miraculous healing in my knees & I should be walking from Le Puy en Velay to Santiago via Lourdes. Thanks again for your prayers. One more thing anyone who can spare a prayer or two for Morgan Farrier who suffers from Cystic Fibrosis is a wonderful person. It is great to hear from you again. And I am very glad to hear that your back has improved significantly, thanks be to God, and to the intercession of Saints Gemma and Pio--(two of my favorite Saints also!). May Jesus bless you and may He draw you ever closer to Himself. Hello. I found this site while researching prayers for back pain. My oldest son who is thirty-six is suffering terribly with chronic back pain. Prayers for his healing would be so very appreciated. Also, and even more sad, please pray for my two year old grandson who was diagnosed last July with high risk stage four neuroblastoma. This little guy is a magnificent soldier, surprising everyone with how well he takes all the treatments. My heartfelt gratitude goes out to all who offer a prayer for my son and grandson. God bless you for your work here. I will be back to visit often. Please pray for my husband, Robert, as he heals from back surgery. He is in horrific pain and I pray that this is the last time he'll have to go through this. This is his second surgery in a year. Hi Glenn I'm so happy to have found this site,I'm gemma and my parents named me after St.Gemma Galgani I've read many articles about her and her life and she's a true blessing,I feel blessed.I'm going through some phases in my life with school,family and myself mostly,I was on the net earlier this morning wanting to read more and more about St.Gemma so that I feel much better and I just found this site and I love it very much and I feel even much better. Love this website! Love reading about St Gemma everyday! I pray for everyone who has posted their prayer requests here--especially those of the past few weeks. Hi Mary. I will keep you in my Prayers when i pray to St Gemma! God Bless! Hi there, please pray for my love. she has dengue fever. i am so worried. please pray for her. i just got to know st gemma. 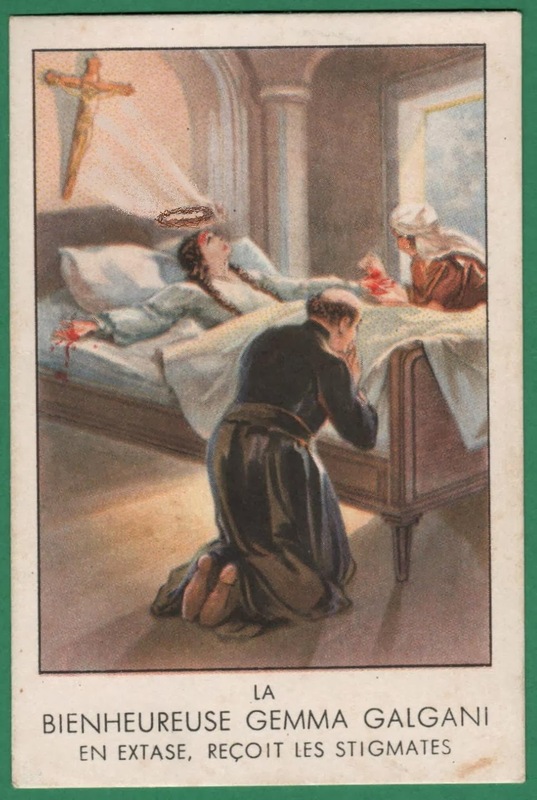 please help me intercede for Jesus' healing touch through St Gemma. thank you. I just wrote an important exam and feel as though I may have failed. I am trying to compete my school so I can help my aging parents, my Mom now disabled. I am also not living a balanced life and crave this very much. I was looking for a Saint to pray to as I wait for my exam mark. I had not heard of St Gemma before, thank you for the comprehensive gathering of her work and life that you share. I pray that she may intercede with the markers of my exam, that I pull through successfully and that my life take on in more meaningful direction. I also pray for her to help my Mom, who has weak legs and heart. She is so faithful and so loving. St. Gemma, please keep my family in your prayers. May God Bless those who brought your life to us. Love you. My wife is currently in A & E awaiting the result of an MRI as she has suspected Caudia Equina Syndrome which usually requires surgery. She has been in considerable pain with a herniated disk which has got progressively worse. This is only a few short months after gallbladder surgery too. "Gemma's mother taught her from an early age to kneel on her hands and pray". What does "kneel on her hands" mean? Does that mean she sits on her hands? Or just kneel with her arms at her torso? To reply to your question, Gemma used to kneel on her hands (one knee on each hand) while reciting 3 Hail Mary's to obtain from God the grace of keeping always her purity and chastity. From what I have read, she said these 3 Hail Mary's everyday during her childhood, and I suspect perhaps throughout her life. And obviously these prayer to the Blessed Virgin worked because she is known and admired for the virtue of purity. In fact Gemma's spiritual director, Venerable Father Germanus C.P. wrote a good deal about this in his biography on St Gemma. I want to pray like St. Gemma. Are her hands palms down or palms up when she kneels on them? Having tried this on a number of occasions, I believe that she definitely must have done this palms down on the floor. Let us pray for the whole world and its better health! I need a prayer for my daughter …she recently got remarried but she is not in love…she married him to get away from a abusive ex that for some reason she kept reconciling with (they also have a son together)… and I think she thought by marring this man who btw is a good christian man would help…but I found out tonight one week into her marriage they are talking again and everyone knows he is not the right man for her…she is not a user or a bad person her husband now knows her past but loves her anyway and he knows she has issues of forgiving her ex but I see this could go very bad for all parties involved…she hurt the ex-husband for marrying he is now fighting her for custody and she is going to hurt her new husband because apparently she still has feelings for her ex or feels trapped because of the custody battle…and now her dad is mad at her and wants nothing to do with her because she doesn’t want to press charges on the ex who he hates and she needs help badly …she is hurting everyone she loves and she is pregnant and not sure if its her ex or the new husband and she is depressed and crying doctor said she needs depression meds and she needs prayer bad and i need help for her please help her and help clear this problem for her and let her and others not suffer help her find peace and love and do what she should and please forgive her and lead her down the right path for happiness and love and please don’t let her loose her son …she is a great mother and a wonderful daughter but my heart aches for her and its causing problems now with my husband and her father also….thank you i am sorry i hope this is not to complex but I am scared she is going to end up feeling alone or being alone when she just goes on emotion and no logical thinking …please hear my plea for help!!!! I am Elizabeth Vinitha... I am doing my first year MTech in Kerala, India. Today I am starting my studies for MTech, before i start my studies i wish to pray to a Saint for seeking blessings from my Dear Jesus, So i searched for Saint of Students. as a result your site pop-up for me. My dear Sir Now i really loves St Gemma. I got a good sister as well as a saint for my bright future. I am sure St. Gemma will help me to study. My saint will pray for me to my Dear Jesus, who s my Dear Brother. Thank you soooooo much for your Informative and Prayer full website. Again thank you sooooo much..
My My Heavenly Loving God Bless You and Yours. I'm not sure if Catholics around the world do this, but we do In Ireland and that is to give those that were friends and relations a memoriam card when a loved one has died. I have been trying to choose an appropriate prayer by St Gemma for this card can you suggest one? I would like to put it on the card both in English and Italian. “O my soul, bless Jesus. Never forget the many graces He has given thee. Love that God who so loves thee. be clean of heart, be pure. Love thy Jesus, who has lifted thee out of so much misery. Yes, for sure this is a excellent prayer for a memoriam card! Thanks for that Glenn I was hoping someone would agree with me about the use of that prayer for that purpose. I would also like to place an image of St Gemma on the card, are there any copyright issues with replicating the images on your site? After many years, i am back to thank you for making st. gemma known to many people who need her intercession. I am st. gemma's namesake, and i couldn't thank my mother more for naming me after a great saint. I am happy to hear of your devotion to St Gemma and that you are named after her. I pray that St Gemma may always be very close to you! I thought I 'd come back and mention that I've been blessed with no more pain in my back. I know I no longer have the pain I had, alas the problem has now morphed in that I was diagnosed diabetic about 6 months ago. I'm going to ask my favorite priest Father James Bruse to say a Mass to St Gemma for the thanksgiving of no longer having a bad back. I am hoping to that the Lord will cure my diabetes too. BTW do you know the patron saint for suffers of diabetes? Thanks for the update concerning your recovery from pain in your back---thanks be to God! Thanks Glenn for all the help.. It is much appreciated. I know St Gemma Galgani some years now. I had spinal fusion 3 years ago for spondilolisthesis and now I am having extreme pain again. Please pray that my back be healed from this horrible and debilitating pain. May St Gemma intercede for me and everyone who seeks her! I love St Gemma's life and she is so pretty as well. May God bless you all you in this site! I have know St Gemma Galgani for a while now... since my back problems started! I have had major back surgery 3 years ago. But for this past few months I have been almost bedridden with pain. I pray for St Gemma's interception for my healing! I am still young (on my thirties) and pray for her interception for my back issues. May she also intercede for everyone who comes seeking her help. Please pray for my mum & mother in law, both have been diagnosed with stage 4 cancer. I did actually get my daughter & I to go for a long ride to San Juan Capistrano to the shrine of St Peregrine on behalf of both of her grandmothers. I'll ask too for your prayers for my painful feet also, the diabetic neuropathy. One more request for all the folks on my list of intentions. That the Lord blesses them all with better health both physically and mentally. I just found this site when i was looking for the patron Saint of Lupus.My niece has just been diagnosed with it,she has been very ill.
Can i ask you to please pray for her that her lungs and other organs have not been badly damaged and that the disease is brought under control. St. Gemma please pray for her. If it is Gods will that she is cured. Thank you Glenn,for your prayers for my niece for healing. It was a shock when she got the diagnosis but she has accepted and come to terms with it, Thank God. I hope you are doing well. Its been a while since I've posted. I will be at Mass most mornings this week. My mother is very ill with stage 4 cancer. I suspect it won't be long before she meets our Lord above. Let us pray that she won't be in too much discomfort and that St Pio & St Gemma will be at the gates of Heaven to guide her home. Hello. I just came across this wonderful website while I was looking for prayers to be said today, St. Gemma's feast day. Glenn, please pray to St. Gemma on my behalf for the following intentions. I am in desperate need of financial assistance for the remaining semester of college. I honestly don't know how to pay for it. I have applied for some scholarships of which I am eligible, but I have not won any. And my school, unfortunately, does not offer scholarships for transfer students. At times, I feel so hopeless. Please also pray that I stay focused in school and not suffer any more setbacks. And please also place my name and intentions before St. Gemma's relics. Thank you. May God continue to bless you and your family. Thank you for your comments. I'm sorry to hear of the difficulties that you are having financing your last semester of school. I pray that Jesus may open the way, and help you to finish your schooling. I pray this in Jesus' holy Name, AMEN. Please pray for my mother she can hardly move with bad back pain please pray she will get pain free .amen. Please pray for my friend Leslie who has a brain tumor, thank you! My mum passed on the 9th of June and received the Sacrament of the Sick two days before she passed away. At the very least she's on her way to a place in Heaven. Let us thank God for that mercy. Please pray for my intentions of better health too, if that is God's will. Thank you..
Saint Helms please intercede for my son Joseph who is having severe beck pain after 3 surgeries. In Jesus name...Amen. Please pray to St. Jude, St. Rita, St. Padre Pio, St Andrew, St Pope John Paul II and St. Anthony for the health of my parents and myself and my husband so that they may place these prayers before Our Lady, so she may give the prayers to her Holy son. Please pray for his job. Please pray for my father and mother. Please pray they can enjoy life. Please pray that I can relax and not be so stressed out. Please pray for my 4 yr old niece. Please pray for my health issues to go away. Pray my husband and I will live a long and healthy and happy life. I am asking for the TMJ issues to go away. Please pray for my brother. Please pray for my brother and that he gets his eyesight back.I pray please for good teeth. Please help me with the exhaustion I have. In May my Mother was dying. One night I had a dream that I was in a church in what seemed to be Italy. A little old lady in black came over to me and asked me, "Do you know St. Gemma?" I had never heard of St. Gemma. When I searched the internet I found out who St. Gemma was. Since that dream I have encountered St. Gemma in many different ways. In a religious article store I was given the opportunity to pray holding a relic of St. Gemma. A beautiful experience! Upon reading about Gemma I was struck with the fact that she was a patroness of those suffering the loss of a parent. St. Gemma, pray for us. Thank you for your comments and for sharing a bit of your recent spiritual journey. I am very happy to hear that you have been led to St Gemma for inspiration. I pray that she may be close to you and lead you ever closer to Jesus, her beloved Spouse. I am losing hope. I am 55 years old Filipino seaman who is unemployed for a year and a half. Because of my age I have a hard time looking for a job. I have a wife and three kids which I can not support now because of lack of money. I have plenty health problems now. I have plenty bills and credit to pay. Please help me. I hope God will send a financial miracle asap to me and my family. Please pray for me so that I can have abundance and prosperity in my life. I am 55 years old unemployed Filipino seaman. I can not be hired anymore because of my age and unemployed for 16 months now.. I am drowning with mountains of bills and credits need to be paid soonest.I have plenty health problems as well as my family. Please help me to pray to find an employment or source of income other than my line of job to support my family.I have plenty health problems already as well as my family members. I ask for prayers for healing especially for my breathing. Its hard for me to sleep please pray to Jesus,Mary and the saints for me. I want to keep this personal, therefore I use no name. One year ago my wife became seriously ill, in intensive care I was told the outlook was very grim that she would probably not make it. I was told that if she did make it that she would require a transplant, but only if a suitable donor organ became available and if she was accepted for the operation, even if that happened things could get bleak. 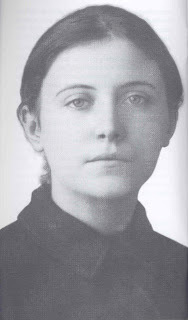 As people do I immediately turned to prayer and to my favourite saint, Saint Gemma Galgani as well as other prayers and conversations I had with her (in my head) I prayed the Triduum in honor of St. Gemma: For the sick and the infirm. The next day in hospital I was told that things had improved, my wife was still seriously ill, but was improving, the doctors did not expect this. I kept praying and my wife kept improving, now one year later although she has not totally recovered she is well on her way to reaching a full recovery and she is back at work. Many would see her recovery as coincidental, not me. One day I had left a little magnetic badge of St Gemma beside my wife's hospital bed and I asked St Gemma to look after her and to be there when she was lonely, afraid or sad, I don't remember how soon after I left the badge it was but soon after I called in for my usual evening visit and found my wife in unusually good form, as bright and happy as she could be in hospital. There was a very pleasant pretty dark haired nurse working with her, I had not seen her before and although she was there some days after this she seemed to move away from my wife's ward to work elsewhere. She was a lovely friendly nurse, and she cheered my wife up, spoke to her and looked after her, she was just what my wife needed. I thank God for my wife's recovery to date, and I thank St Gemma for the help, love and support that she gave to my wife and to me. May St Gemma pray for us all. Thank you so much for sharing this wonderful story of St Gemma's intercession in the lives of both you and your wife. Your story is very inspirational and edifying to read. I pray that St Gemma may always be close to the both of you, and may she continue to lead you ever closer to Jesus and Mary. It is Anon again from March 8. On Friday April 8, I went with my wife to her app with her Consultant. My wife's health has continued to improve, the Consultant is very pleased with her progress and has reduced her med's. Of course in the meantime I had kept asking St Gemma G to assist and intercede. and I believe she did, and has been doing so all along. I leave a comment just because of what the Consultant said. She said to my wife: " You are a miracle". I believe that this is so. I know what I asked for, probably better described as pleaded for and so far, as far as I can see I have got it. My prayers have been answered, Thank God. Many people will laugh at what I say, or rubbish it as coincidence, but I know and I believe, I asked St Gemma to intercede for me and to beg for my wife's life and health, and she did. I pray daily for St Gemma's continued love and intercession and I humbly ask in my prayers that our Lord bless St Gemma that her name might be known even more across this world as someone whose example and prayers should be followed and used. In my prayers I ask that those who work for our Great and loving God in St Gemma's memory be blessed with great success. I especially include all Passionists and Passionists at heart, the Sisters of Gemma in Lucca and you Glenn and all like you that use the internet for this great work. To non believers desperately seeking help, I suggest that you ask my friend, our friend Gemma for help. Thank you for sharing the wonderful recent developments concerning your wife---Thanks be to God and His servant, St Gemma! God is good. And, as I write this, today, April 11 is the feast day of St Gemma, as you well know. -St Gemma, pray for us! St Gemma, today is the anniversary of your entrance into the heavenly kingdom to spend etetnity with your Divine Spouse. Intercede for us as you did for your freemason convert. We place our confidence in thy charity. Amen. I am waiting to hear if I have been succesful in the recent interview that I did for a job that I would really love to do. As usual when it comes to such things where I feel inadequate or in need of assistance I prayed. I also asked our good friend Gemma to assist me and I took a relic of hers with me to the interview. A lovely old cross and chain, that had belonged to my father. Although I have pleaded with Gemma to help me get the job, I have also asked for a big spiritual hug should I fail. I will be a sad boy for a while if I don't get the job but that won't last forever, I know my failure will mean little compared with the troubles many people face. If you read this please say a brief prayer for me or think a speedy prayerful thought for me. When I pray I remember St Gemma and thank God for her example and prayers and I ask him to bless his work that is done in her memory. I also pray for those people that love St Gemma and strive to undertake God's work in her name. Those people that have a devotion to St Gemma, possibly you, I regard as being like close family. May God bless you all. God is great and good. Plase ST.Gemma pray for my self I am a 23 yr. Old female suffering from Bulimia since last December znd I admit I still.can't completely undesrtand it and it seems harder to get off the triggers and keep falling I know I need to go to confession Asap but I been trying to do an appointment I even pray rosaries but after tht I just keep giving up after overatting and throwing up again now i am in the point were I just can't do anything and feel lost and I wish my life could return to atleast as 2 or 3 mknths not as worse as now ! Srry I dont want to b wining but I is very painful my parent's help me but I see they give up and even lose patience and I do to and please please pray for me and If someone reads this please too ! I 2 days agoo ended up on E.R. due to almost fainting after falling twice and my sis called ambulance crying yet still until today i been relapsing Iknow it might b all my fault but i am afraid tht yes maybe god is apart bc i been wasting much food and throwing up or fasting then not fasting but then I calm down after knowing tht he loves me and forgives me but i just feel like a,liar bc I keep falling and I just wish I could break it all and start again i know its possible yet i pray to know really know what is that i might b doing wrong to not b healed ! Dear Saint Gemma. I have suffered from chronic spinal problems and pain for 30 years. I have fallen in to great pain recently. Please intercede for me. thanks. Glenn, and all contributors to this page I am in Lucca at the minute and will remember all your intentions when I visit St Gemma's resting place and in all those other places that she would have loved so well and frequented often. Keep the faith, our Gemma helped me, she can help many more. I am really glad to hear that you are visiting our desr St Gemma there in Lucca! I pray that she may guide and inspire you during your visit there. And if you happen to read this note, I would be greatly indebted to you if you could kindly pick me up some of the St Gemma relic holy cards (the ones with the little relics in them) as I am running desperately low! Thanks in advance if you happen to get this message. And may God bless you and your loved ones. Please intervene god please pray for Damianus aditya christie and me. I have been waiting for reconciliation and peace for us, if God deign, please God soften and touch Damianus aditya christie heart for me. I can't touch his heart, only God can change people's hearts. Sorry Glenn, I was the person that was going to see our Gemma in Lucca but I have not been on your ‘site’ for a while so I misssed your request about getting St Gemma cards. Sorry. Please St Gemma pray for my Daughter Genna. She has terrible migraines and is suffering so much. I pray for her to be healed. I'm writing this to say thank you to Saint Gemma. Before I found Saint Gemma, I was praying for my daughter and her schooling which she was struggling with. One morning I was praying and I asked God to help me find a patron saint for students to help my daughter. After I made that prayer, I opened a prayer book that I had and the first page it opened to was about Saint Gemma. I read the prayer on the page and since that day, I prayed to Saint Gemma everyday for my daughter. When it came time for my daughter to apply to optometry school, I was doing the novena for Saint Gemma everyday. She applied to five schools and all five wanted to interview her. The first school she interviewed for, which was the best option financially, accepted her. I know Saint Gemma was with her during the interview. I'm am writing this testimony so other people can know the power of Saint Gemma. They should keep praying patiently and not be discouraged. Thank you thank you Saint Gemma. Thank you for posting this wonderful story of St Gemma's intercession in your life and that of your family. Blessed be God in His Saints! St Gemma, pray for us! We are a week or so away from Easter 2018 - are you ready? Hope you are experiencing a fantastic Lent. For the past year, maybe two, I had bookmarked the link to this site and every now and then I click on it and read a post or two and get lost in all that I read. I copy different things that hit me, particularly prayers. Print them off and pray them and then I file them away! I Googled Saint Gemma and there is lots of material for you to read. I even found some youtube videos which I didn't look at yet. Amazon sells a movie put out by Bob and Penny Lord, and there might be others, but Gemma's life and death merit a production on the order of the Passion of the Christ. What do you think? Just asking. It is great to hear from you. Thank you for your comment. I am happy to hear of your devotion to St Gemma and that you are enjoying the "St Gemma Galgani" website! And a happy Lent and Easter 2018 to you also! I hope that you continue to find the stories in the life of Gemma to be edifying and inspiring, and may St Gemma be very close to you and may she lead you ever closer to Jesus and Mary! May Jesus bless you and your loved ones and may the Blessed Virgin Mary cover you under Her heavenly mantle. I have been praying for a healing through the intercession of St Gemma for about two months from when I first found out about this beautiful Saint. I purchased the locket with her picture and relic in it. I have worn it everyday. One morning at mass, a parishioner who sits in front of me shared she was having surgery for cancer of the breast. I prayed with her asking St Gemma to be with her. I had this strong urge to take the relic of St Gemma and give it to her. I did and she wore it up until she went in for surgery. Her surgeons were able to remove ALL the cancer. She is now going to have radiation as a precaution. I am still asking for her to intercede for me but I am confident that she will one day put my petition in the chalice of suffering she endured and offer it to Jesus. I ask others to please join me in prayer. Hi,after reading the life of St.Gemma, the simplicity and purify life she lived inspired me a lot and I chose her as one of my Patroness. St. Gamma pray for us. O most pure St. Gemma, I humbly implore you to intercede for me. Our most precious Jesus knoweth my despair from 18 months of back, hip and leg pain. I know not , his purpose for this suffering, and I request clarity and direction and ultimately full healing and restoration. St. Gemma please pray O my Jesus , I love you and I want to thank you again for coming into my life . Please make known your purpose for my suffering. Through my nursing home Communion ministry I have met a wonderful young man who has suffered with cysts on his spine and partial paralysis. He has placed his health in God’s hands. We were led by the Holy Spirit to St Gemma and now pray for her intercession. Please pray for Doug. There is only one who can heal and who can save, it’s Jesus Christ. We will have trouble in this world, are burdens are great. Jesus said, Take my yoke upon you, and learn of me; for I am meek and lowly in heart: and ye shall find rest unto your souls. 30 For my yoke is easy, and my burden is light. We need no intermediary between us and God. Pray to Him, all religions try to get right with God by works. Only true Christianity that the Bible teaches can set you free. For it is by grace you have been saved, through faith, and that a gift, not of yourselves and not of works, it is a gift of God. God may heal and may not, but even if He doesn’t praise His holy name. Our trials only last a life time. Pray for my daughter to find a loving spouse and partner in life.